 The Bruntwood Prize, a partnership between the Royal Exchange Theatre and property company Bruntwood, is open to anyone who has a story to tell through the live medium of theatre. We want to support anyone and everyone to try to complete a play before the deadline on 5 June. Whatever your writing experience, we want to hear from you! Artistic Director of the Royal Exchange Theatre, Sarah Frankcom - co-founder of the Bruntwood Prize for Playwriting – expresses her views on the significance of new writing, the minimal prerequisites of playwriting and the revealing nature of theatre in this interview. She said, “The brilliant thing about theatre as an art form is that it’s at its most exciting, and its most vivid, and its most visceral, and its most vital when it encounters new imaginations”. To actively encourage new and established playwrights to submit their scripts for a chance to win part of the £40,000 fund, the Bruntwood Prize for Playwriting team have created a free 10-week online playwrighting toolkit which is now live. So, if you are not sure where to start or need a few helpful tips to help refine your script, feel free to catch up on these session at your own pace as you allow your story to take shape.